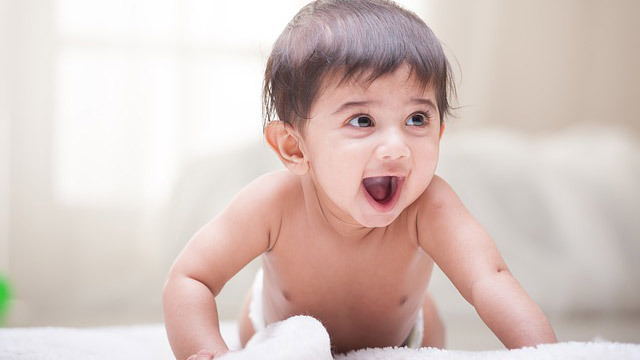 Here are 7 of your baby's exciting 'firsts' until he is 1 year old. Your pediatrician uses developmental milestones (find printable milestone checklists here) to track your baby's growth. 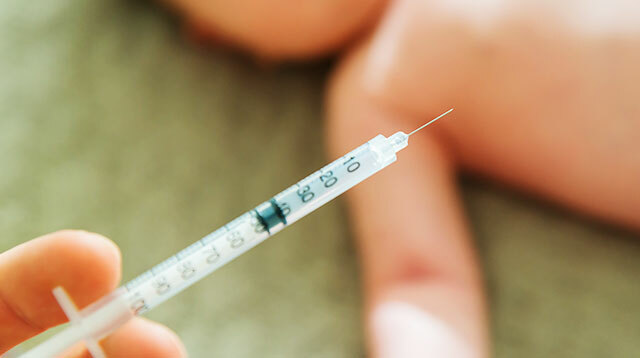 These are important to know, not just by your doctor but by you, because if your child doesn't reach a milestone at a certain age, then it could mean there's a problem. Knowing any red flag allows you and your child's doctor to act early and screen for possible developmental delays. That said, we need to reiterate that children develop at different paces. If he hasn't reached a particular milestone or skill at the age mentioned here, don't panic, be patient, and stop comparing your child to other kids. Trust your instinct. Parents often know when there is a problem. Discuss it immediately with your doctor. 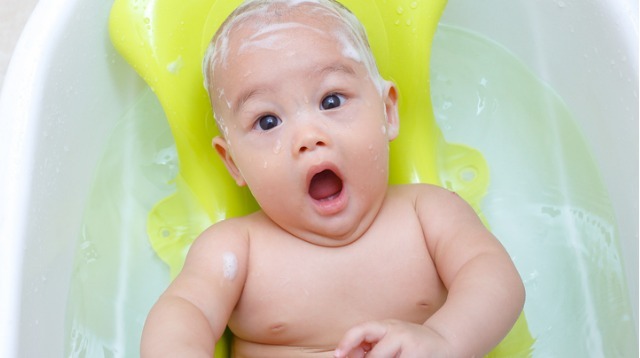 Here are a few of your baby's firsts you don't want to miss. The moment you realize that your baby can already “see you” is one of the first “exciting firsts” you and your little one will experience together. Aside from reaffirming your bond with your baby, this connection also tells you a lot about how much your baby has already grown in such a short amount of time. “It indicates that her neurological growth and ability to communicate are on track,” according to Parenting. You may have already seen fleeting smiles from your baby before this age, but at around this time, her smiles are now in response to you and other family members! Your baby will smile because she saw your face or has heard dad or a sibling’s voice, for example. 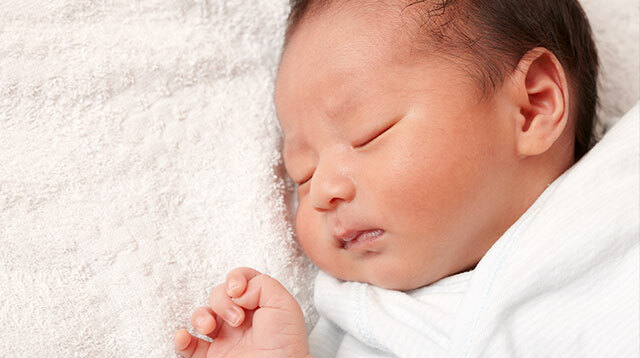 Unlike smiles newborns make, which occur randomly (when your baby is sleeping or tired, for example), these real smiles are consistent and more deliberate, explains pediatrician Dr. Mark Gettleman to Parents. You’ll find more and more ways to make your little one grin! 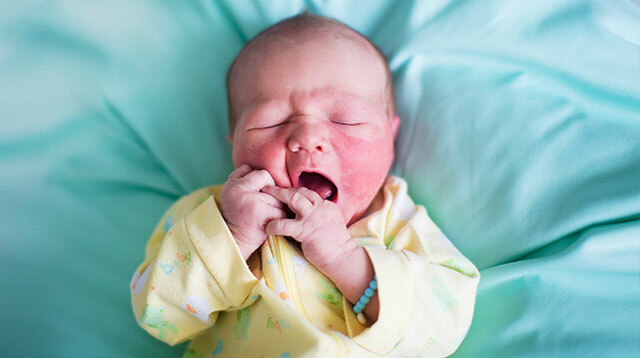 Your baby will now start to make other noises other than cries, burps, and farts! “Your baby may begin vocalizing anytime between the first few weeks and the second month, progressing from random experimental sighs and coos to sounds that are actually directed at toys, pets, objects and people,” according to What to Expect. This is your little one’s first way of “talking” to you. Respond accordingly by talking back. For example, when she's cooing while you're feeding her, ask her if she's enjoying her breakfast. 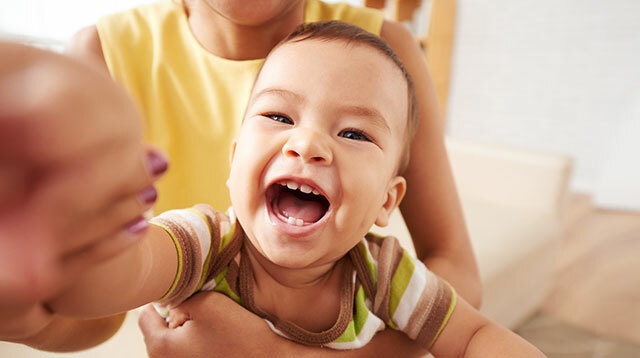 It’s one of the sweetest sounds you’ll ever hear — your baby’s laughter! Your baby will find many, many things funny so take advantage and keep playing, talking, and interacting! Make funny faces and silly sounds, dance to lively music, or where her diaper (a clean one!) as a hat when you’re changing her. 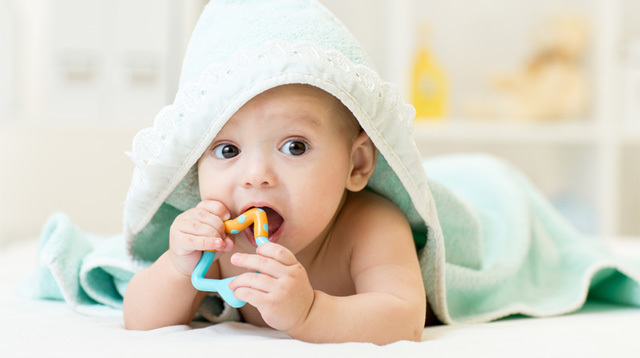 Even if there’s just one tooth, this is the time to start with your little one’s dental hygiene. With your baby’s first tooth should come his first trip to the dentist. 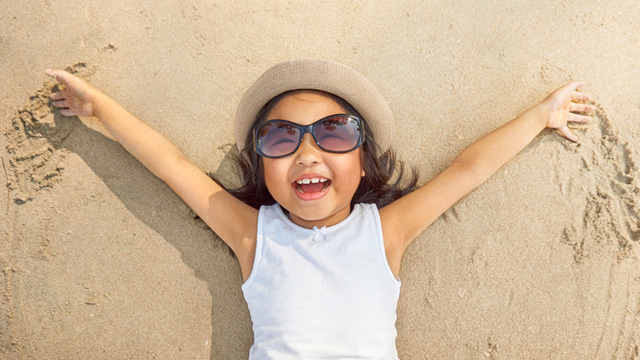 It's a crucial first visit; dentists make their initial assessment, and you’re taught how to take proper care of your child's teeth, explains pediatric dentist Dr. Nina Tayag-Atotubo to SmartParenting.com.ph. Here’s a big first moment! Your baby’s starting to learn how to walk! You can encourage him to take more steps by holding his hands and letting him walk towards you. Soon after, expect your baby to start cruising around the house — she’ll be moving from one piece of furniture to another. “He'll probably also enjoy a toddle truck or push toy that he can hold on to as he walks,” says BabyCenter. Don’t get a walker, though. The American Academy of Pediatrics strongly advises against them as they can actually delay motor development rather than help your child learn how to walk. A baby’s first word (especially if it’s “mama” or “dada”) is a moment of pride and amazement for any parent. You’ll soon hear more words from her from now on. 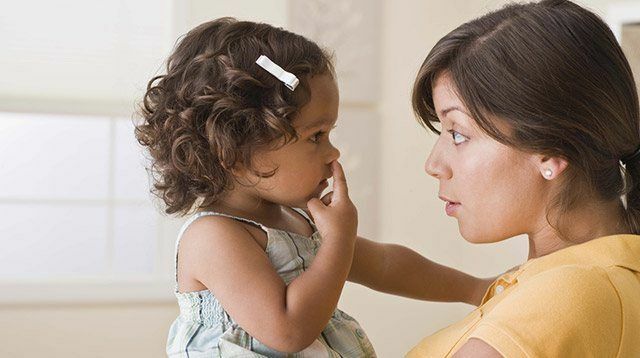 To help her speech and language development along, don’t miss out on opportunities to talk to her and introduce her to new words. While bathing or eating, point to and talk about the toy or food in her hand. While reading a bedtime story, point, name and talk about objects in a picture book.